The Arctic Collaborative Environment (ACE) is the Arctic focused project within the broader Partnering Earth Observations for People Living Environmentally (PEOPLE) initiative. The goal of the ACE Joint Capability Technology Demonstration (JCTD) is to enable local, regional, and international cooperation and coordination on long-term environmental planning and near- term actions in response to climatic and environmental changes occurring in the Arctic Region. 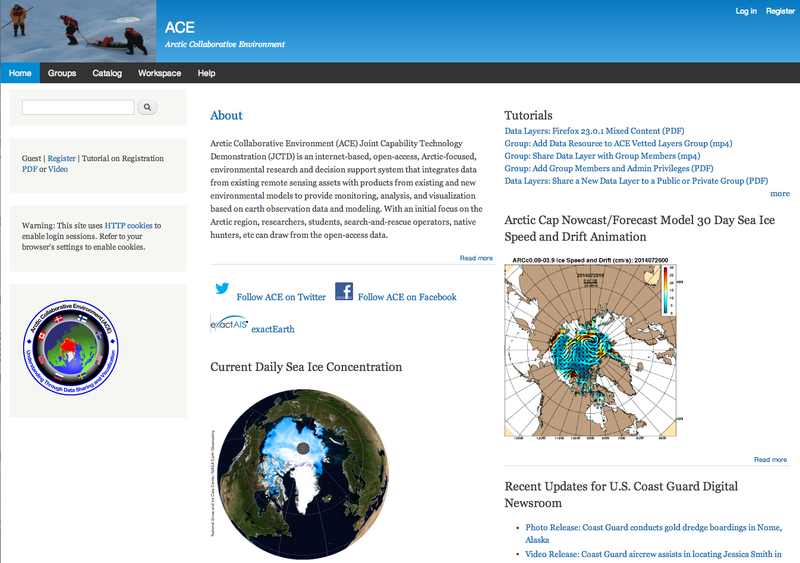 The ACE JCTD project implemented an internet-based, open-access, Arctic-focused, environmental research and decision support system that integrates data from existing remote sensing assets with products from existing and new environmental models to provide monitoring, analysis, and visualization based on earth observation data and modeling. 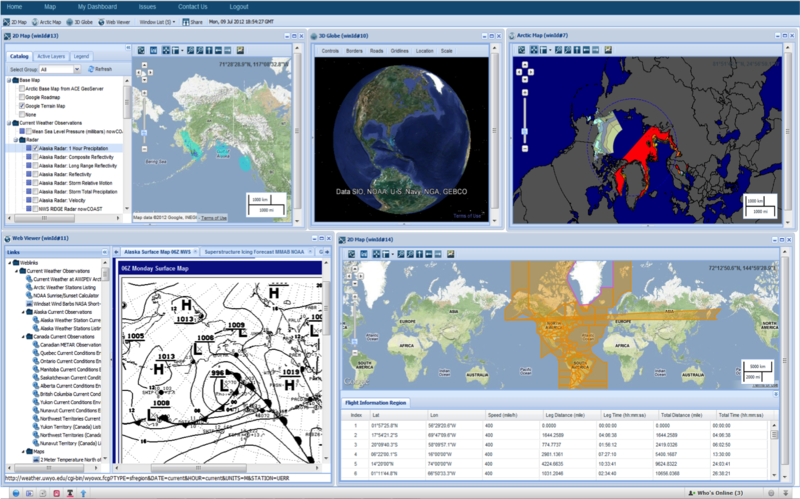 Products are layered within an embedded KML-compliant viewer (e.g., Google Earth) and integrated into a community-based collaborative environment, as well as exposed through an Application Programming Interface (API). With an initial focus on the Arctic region, researchers, students, search-and-rescue operators, native hunters, etc. can now draw from the open-access data. ACE was jointly developed by National Aeronautics and Space Administration [NASA], U.S. European Command [USEUCOM], Von Braun Center for Science & Innovation [VCSI], North American Aerospace Defense Command [NORAD] / U.S. Northern Command [USNORTHCOM] and the University of Alabama in Huntsville [UAH].